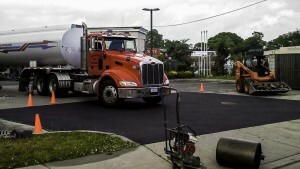 We repair the damaged asphalt pavement by hot patching the potholes and replacing the failed asphalt sections with hot asphalt. 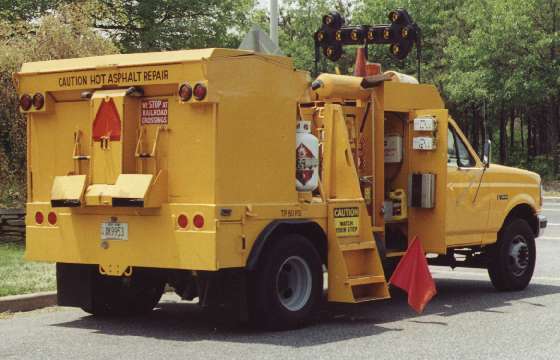 Our proprietary hot asphalt repair vehicle provides faster, safer, cleaner, and more efficient hot asphalt repairs. The first stage in the process is to saw cut out damaged areas. 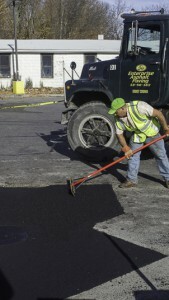 Then those areas are replaced with full depth Hot Asphalt Material to Specification at 300°F. 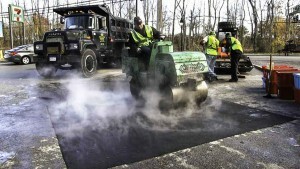 We then compact the hot asphalt with a vibratory power roller. 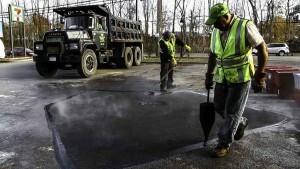 Pouring hot liquid Asphalt Concrete (A.C.) “Tar” around the repair will glue the old and new asphalts together. 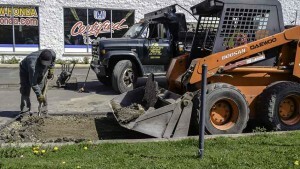 The area is now safe for foot and vehicle traffic.